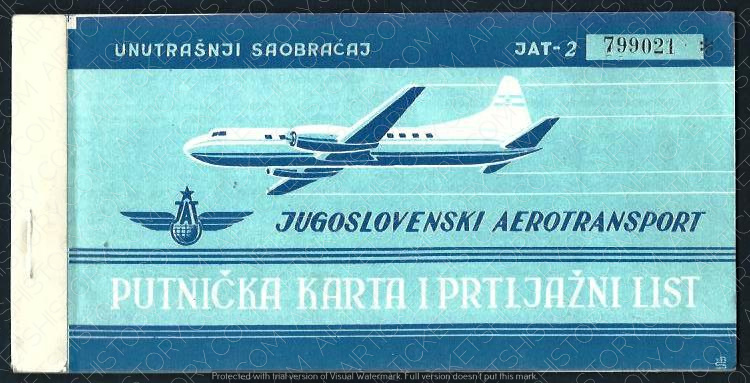 HISTORY: JAT AIRWAYS (JUGOSLOVENSKI AEROTRANSPORT) was the national flag carrier and largest airline of Serbia, and formerly Yugoslavia. 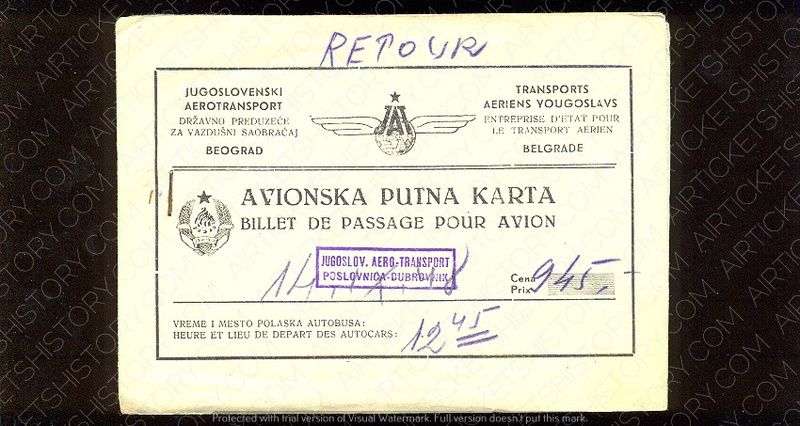 Founded in 1927 as Aeroput, the airline ceased operations during World War II. 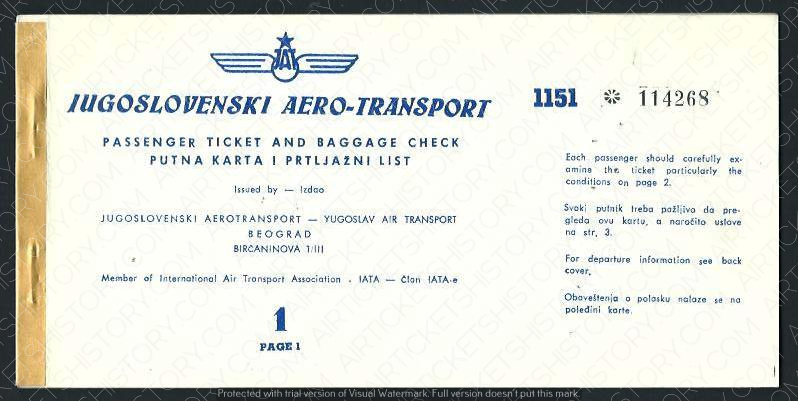 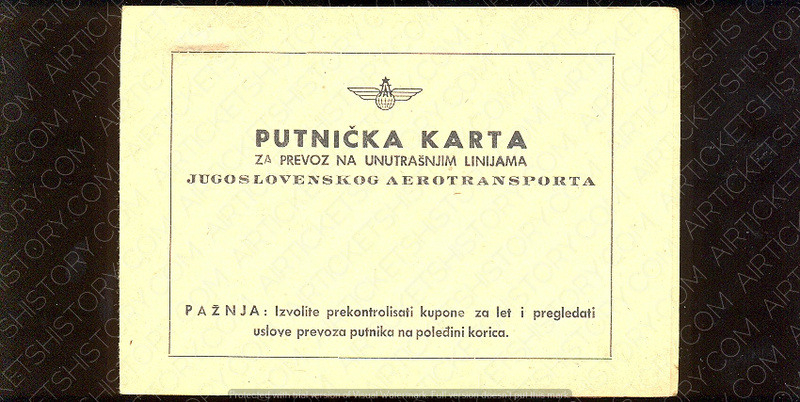 After resuming flights in 1947, the airline was renamed JAT on 1 April 1947. 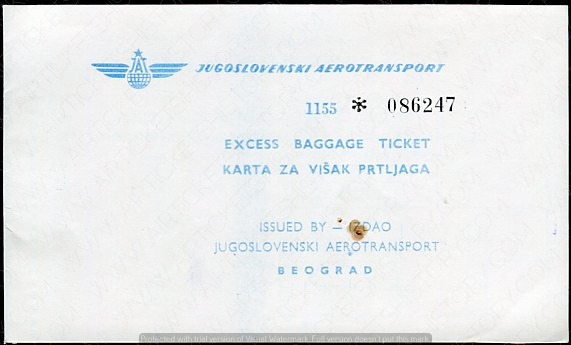 On 1 August 2013, the Government of Serbia and Etihad Airways entered into an agreement which reorganized the operations of Jat Airways and renamed it Air Serbia.